In Canada, a toothless grin may often be associated with a hockey player, as a sign/symbol to teammates and opponents alike of their toughness, determination, and commitment to winning. If that player is later interviewed on television, he may be smiling (assuming that his team won the game) with a full set of teeth, as well as speaking clearly, thanks to the partial dentures that he re-inserted in his mouth prior to going in front of the camera. In everyday life, though, having a toothless grin or trying to endure the loss of a few teeth does not always depict the same badge of honour, so to speak, assigned to hockey players when they are on the ice. 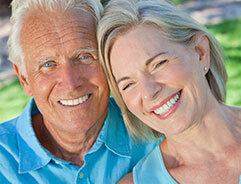 Any or all of these concerns may be resolved with the manufacture and fitting of removable partial dentures. These dentures consist of replacement teeth affixed to a plastic base that is fundamentally the same colour as your gums. 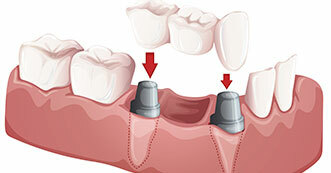 Partial dentures can be fitted with a metal framework that is in turn connected to your natural teeth by metal claps, or they might include more natural-looking connectors known as precision attachments that have a more aesthetically-appealing look than metal clasps. Removable partial dentures can be customized to replace one or more teeth and are made to blend with your natural teeth in terms of size, shape, and colour. In many instances, one or more of the neighbouring natural teeth may require a crown as a means of improving the fit of a partial denture. 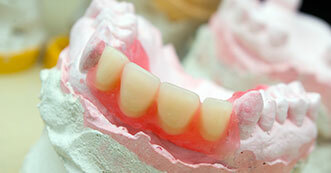 Specifically, this would allow the connectors or clasps to hold the denture in place as securely as possible. 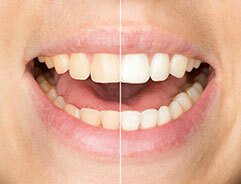 With respect to tooth colour, our denture clinic also provides the option of teeth whitening. It is important to note, however, that this is not the customary whitening process available from a dentist’s office or with over-the-counter strips – the purpose of our teeth whitening procedure is to match the colour your remaining natural teeth to that of your new dentures. Removable partial dentures can help improve biting/chewing and speech clarity, as well as restore the natural appearance of your teeth/mouth and facial symmetry. Call the experts at Onyx Denture and Implant Clinic today at 403-995-0852 or contact us to arrange a consultation on removable partial dentures and how this may be the right solution for you.